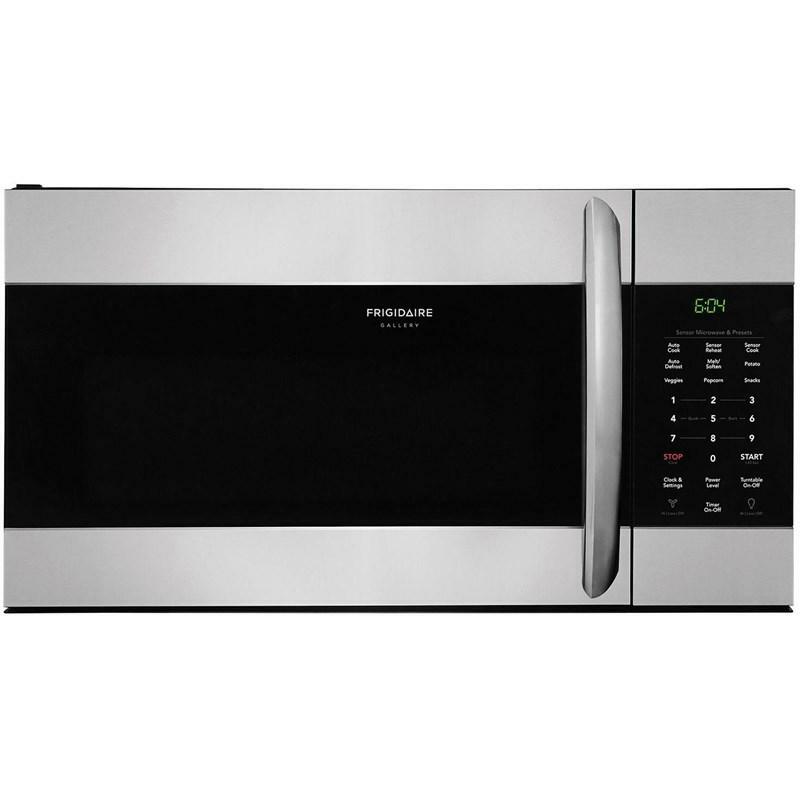 Frigidaire Gallery 18.6 cu. 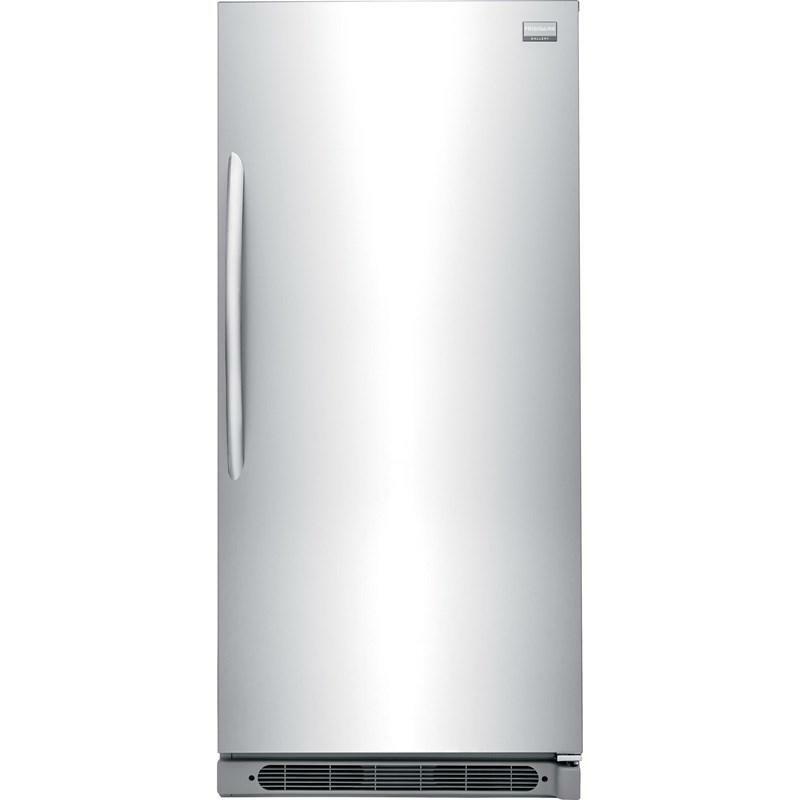 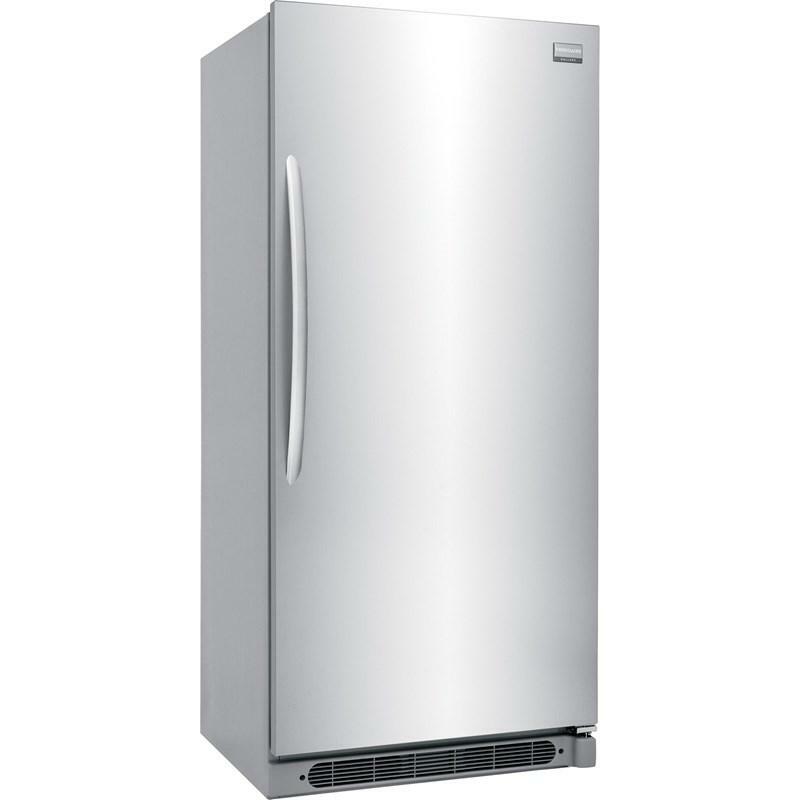 ft. all refrigerator featuring Smudge-Proof™ stainless steel, bright LED lighting and Precision Set™ digital controls. 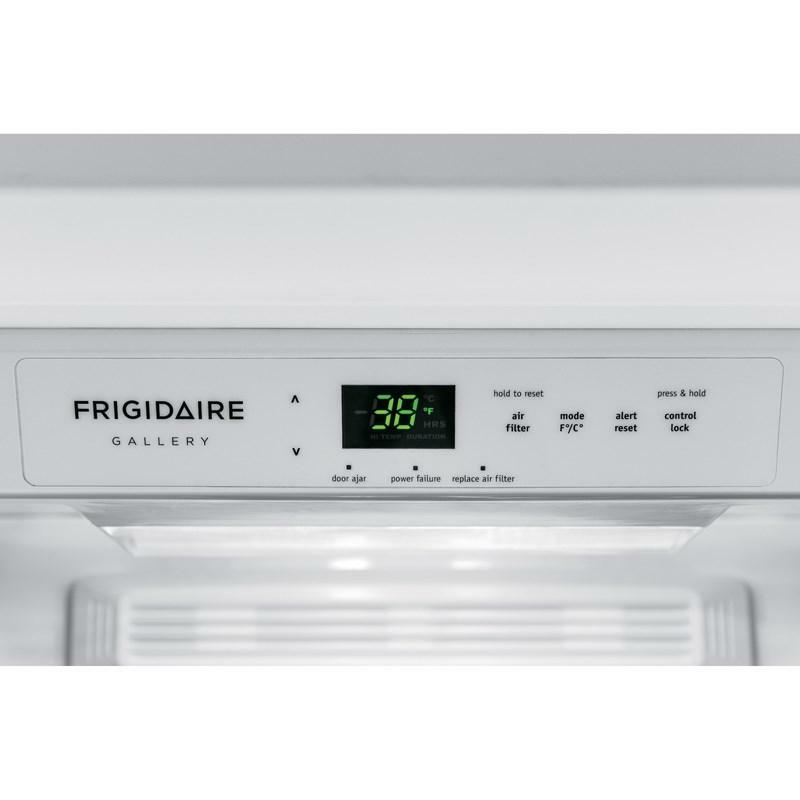 Conveniently located, the full-width Deli Drawer is ideal for deli meats, cheeses and sandwich fixings or any food items that are frequently used. 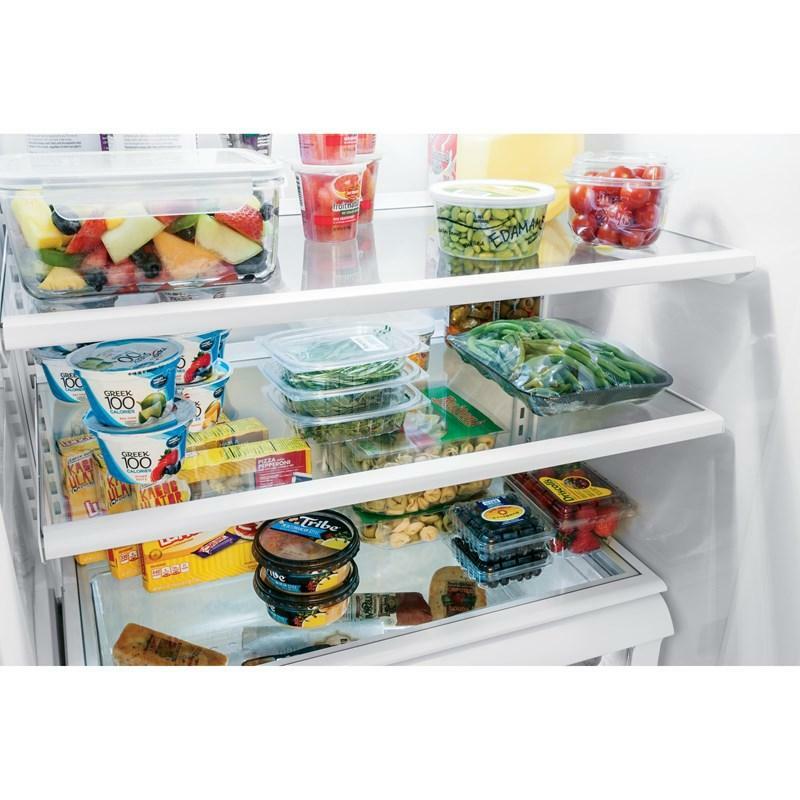 Keep your refrigerator organized with a crisper drawer that helps keep items fresh. 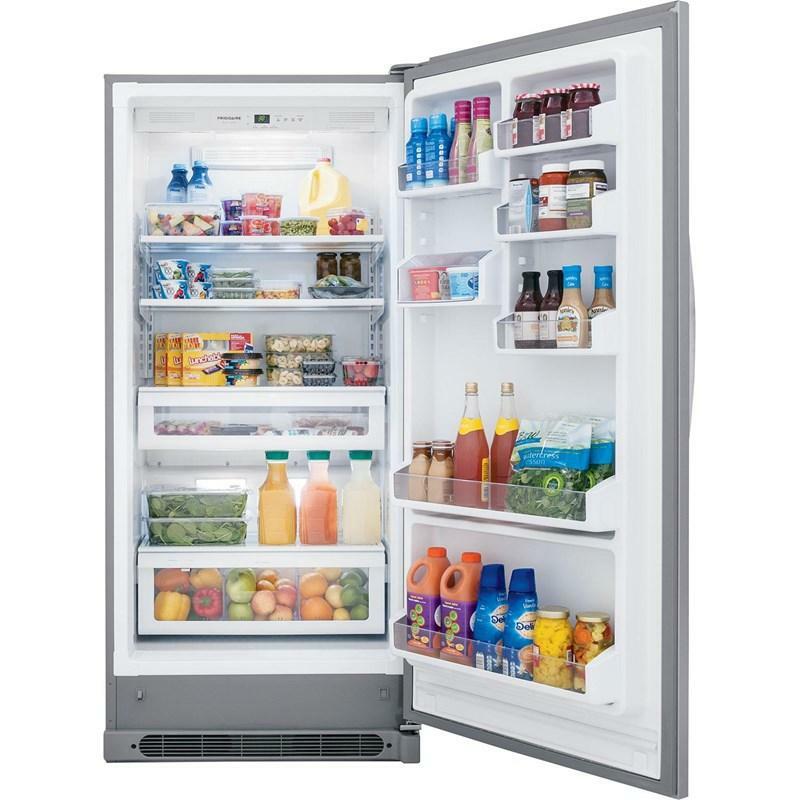 Adjustable shelf allows you to customize your refrigerator so you can fit different size items as your needs change. 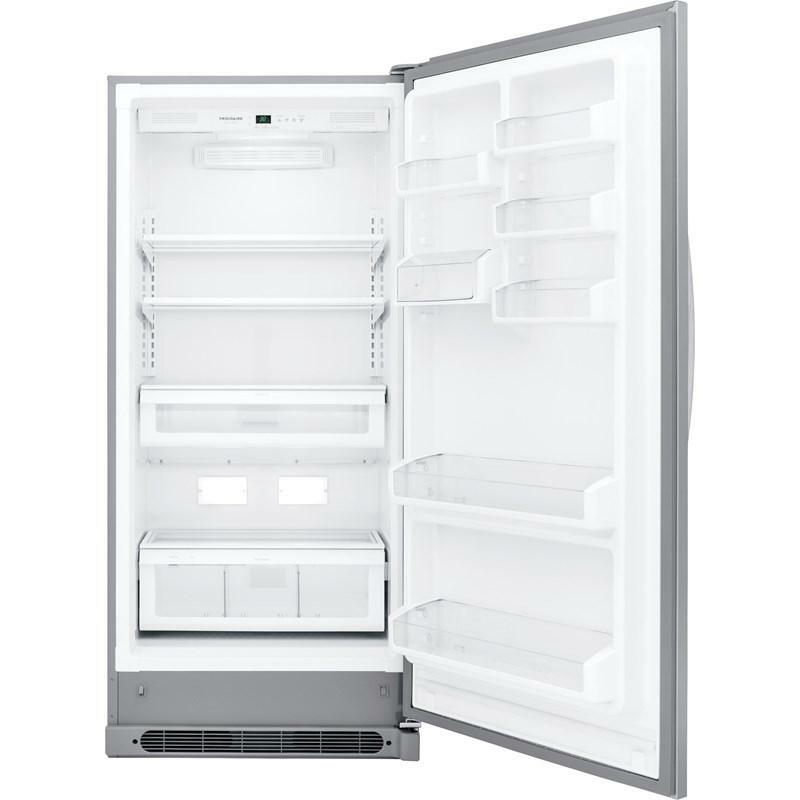 The SpaceWise® Organization system makes it easy to keep food organized and easy to find when you need it. 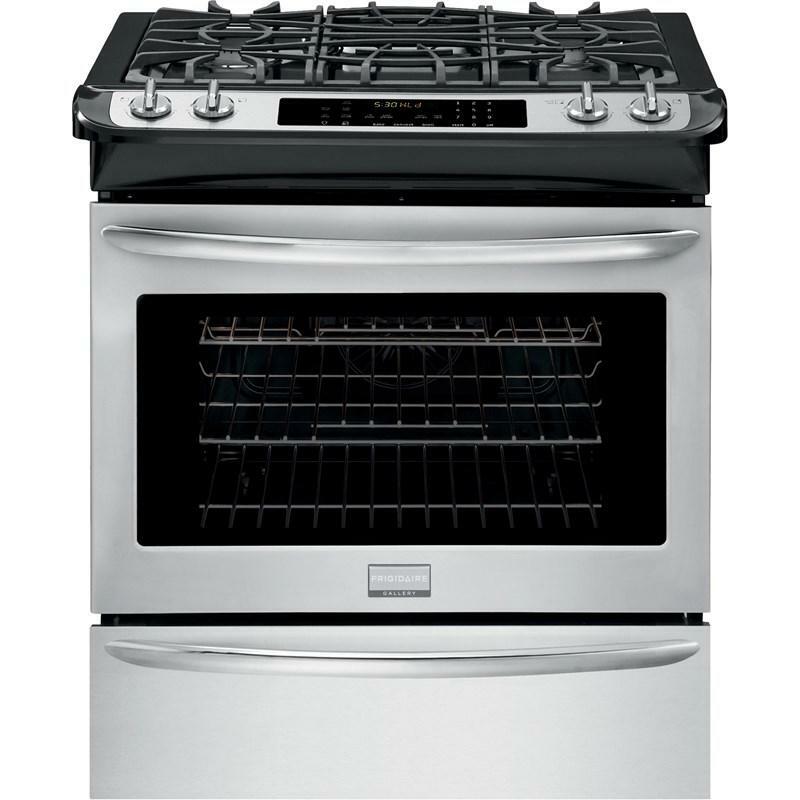 • Power cord length: 72"
Additional Dimensions • Case height: 70.625"
• Depth with door 90° open: 57.375"